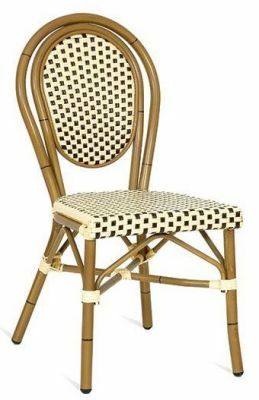 Outdoor weave chair with a Brown and Cream weave design and bamboo effect frame. Continental style chair held in stock and delivered in 2-3 days. Great value, upmarket seating for use both indoors and outdoors, the chairs have a unique cream and brown weave design for an alternative look.